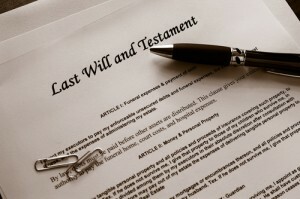 For a list of our fees please visit our Wills – Fees page. We have substantial experience in the areas of estates, trusts, and corporate succession related matters. We can assist you with the preparation of wills and powers of attorney (for Property and for Personal Care) and the creation of trusts to expedite estate planning endeavours. We can also provide advice on a wide range of legal issues in this area including the interpretation and enforceability of wills and trust arrangements, the rights of beneficiaries, the duties of executors and trustees, and mental incapacity issues. In addition, we regularly collaborate with your accountant with regard to long term strategic planning. For assistance creating a will that reflects your families particular needs, a power of attorney for property, or a power of attorney for personal care please contact us at 506-458-8171 or by e-mail. We have prepared a Will & Power of Attorney Checklist which you may complete and forward to us if you wish to make an appointment to have any or all of these documents prepared for you.